PLEASE NOTE: THE BELT IS NOT INCLUDED. 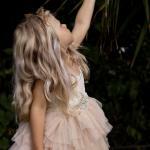 Your little one will look as pretty as a picture in our Mid Length Mocha Lace Tutu Dress. 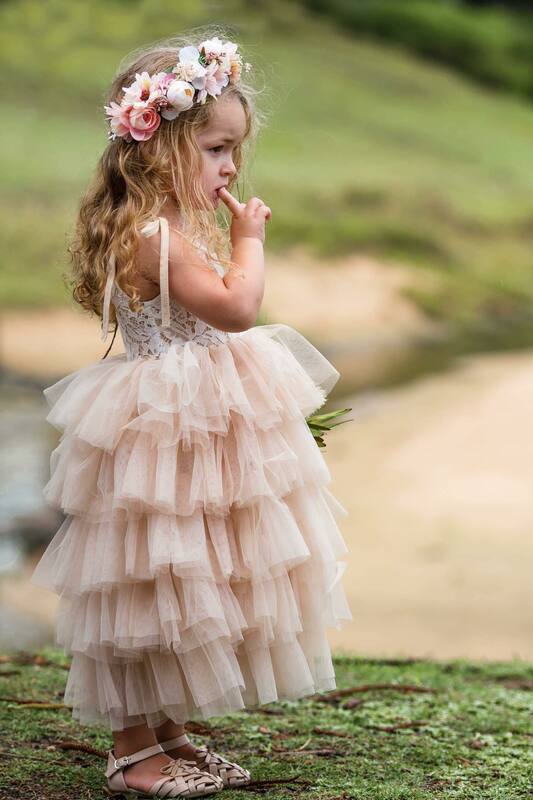 With a beautiful lace bodice, cute straps that tie at the shoulders and a full mid length layered tulle skirt, it’s perfect as a flower girl dress, birthday party dress or for that special occasion. The lace used in the bodice is very soft and is lined with stretch jersey cotton, making it comfortable against the skin. The shoulder straps are made from the same stretch jersey cotton. 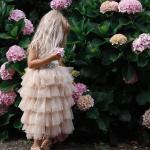 The five layers of lovely, soft tulle make the skirt extra full and dreamy. 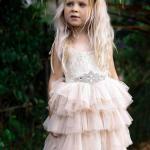 The tulle skirt is lined with cotton and will sit about mid shin length depending on height. 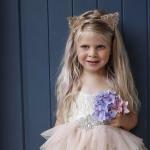 Arabella (not pictured) wears a size 7 in this dress, she has a slim build and is 129cm tall and has a 58cm chest circumference.